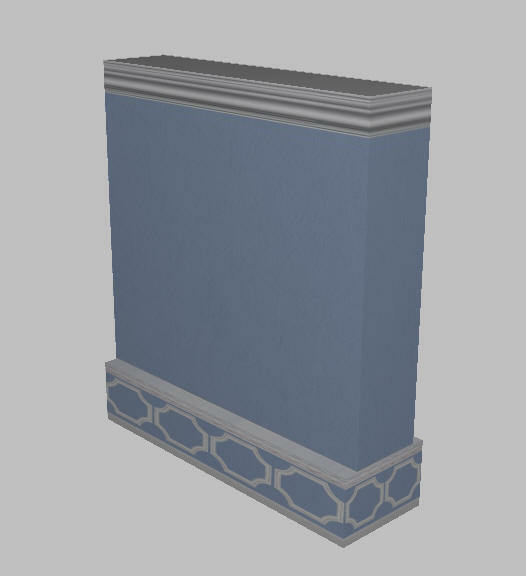 Sometimes you want to change a the textures on a mesh in Second Life or Open Sim, and you have a modifiable mesh object. 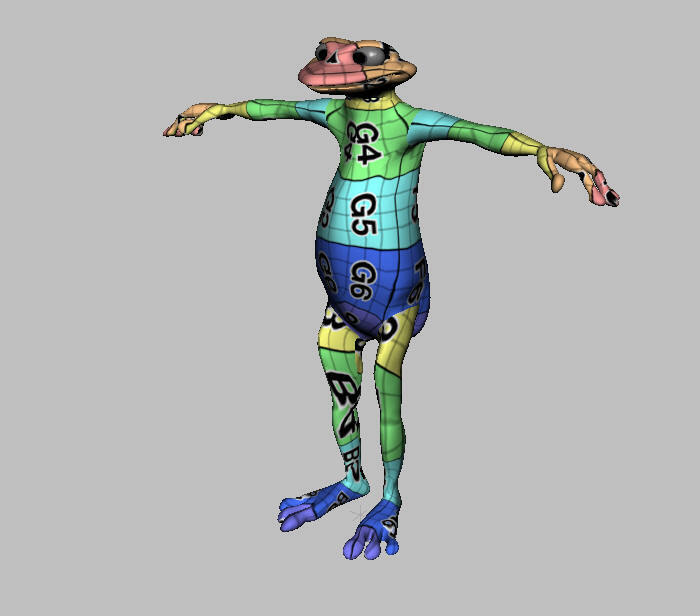 You may have a UV map for the mesh. Maybe not. If you have a map and you look at the map, it looks like lines that vaguely resemble the object, and it's very confusing. You may or may not have the original image to work with. In some cases, you may not have a UV map or an image, and still want to modify the mesh object. These difficulties can be all overcome with some free images. 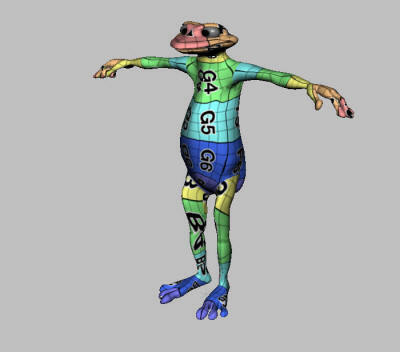 First, you need to understand what a UV Map is. A UV map is a set of coordinates that maps where each part of a texture is placed on a mesh. Let's compare a mesh map with a prim from Second Life or Open Sim to get a basic understanding of what is happening in a mesh. A Second Life prim always has one face on each side. 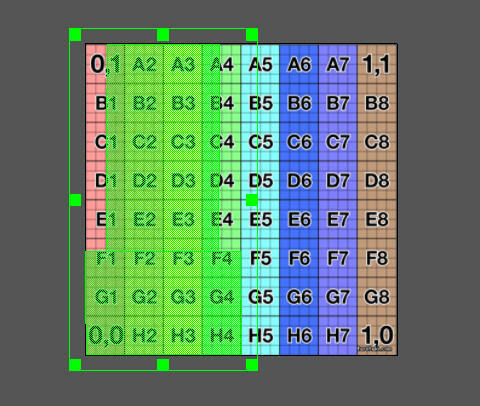 The 4 green dots at the edge of the image always match the same 4 corners of each face of the prim. 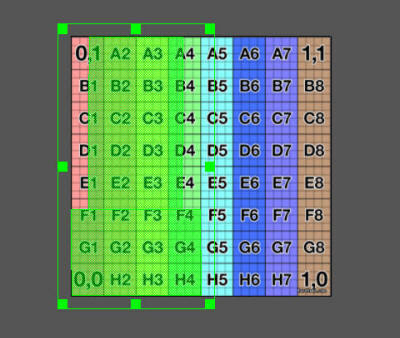 A mesh is different: It can have more faces on a side. It can have any number of faces, and the faces can be any arrangement. The above dot is placed on the dark stripe, and so the pair of faces becomes that color. 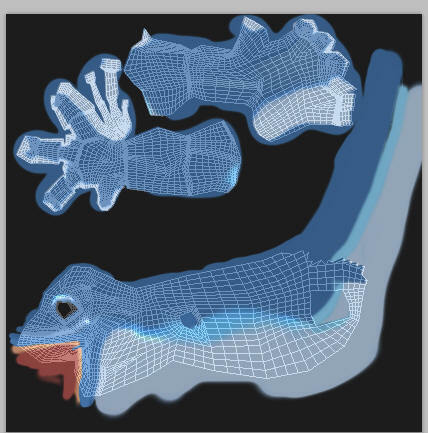 As another example, each avatar is made of mesh. 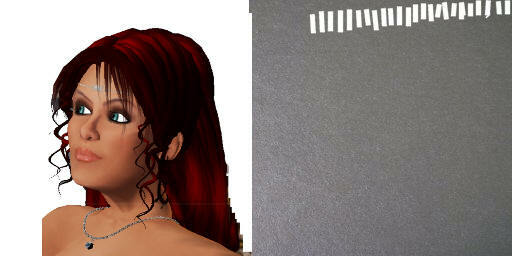 Here is the mesh UV map for a face, and the skin texture that goes on it. The designer can select any part of a mesh and map it to any part of an image. For my mesh horse project, I made a saddle horn and mapped it to a pretty picture of a silver coin. You can see how the top of the piece is mapped to the coin shape, the side view of the mesh piece is mapped to a grey bleeding shade, and the rim is mapped to drawn lines to make the edges of the coin. Click the above image to get the full-size image map. 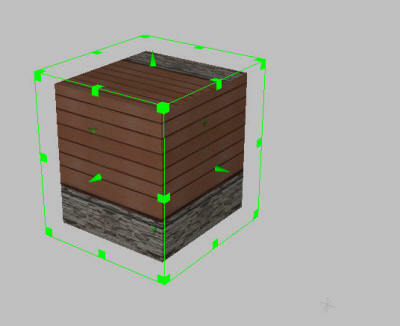 Place this on your mesh and you will gain an understanding of how the mesh is mapped. 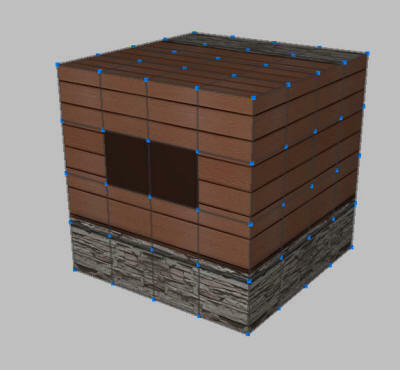 You need to know that Second Life and Open SIm support up to 8 different texture maps on a single mesh object. 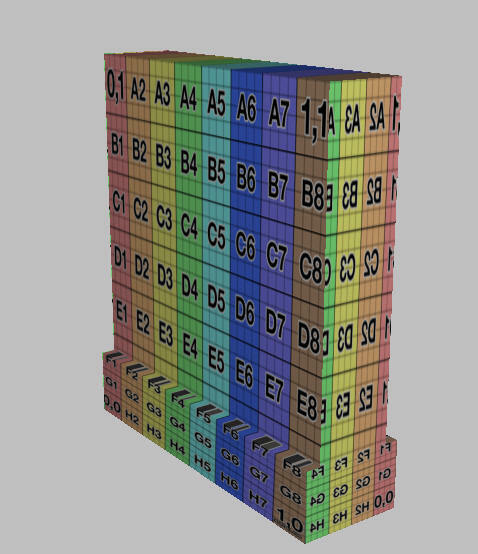 If only part of the mesh changes color, then you have found one of the multiple image UV maps. 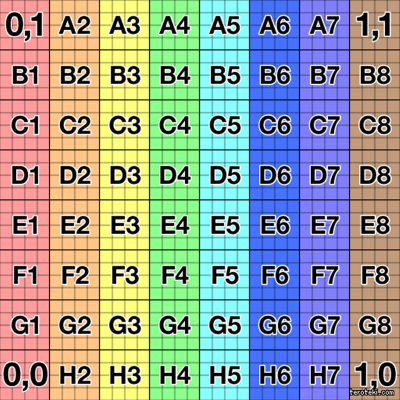 You will need to look at each section individually and make an image for each part. 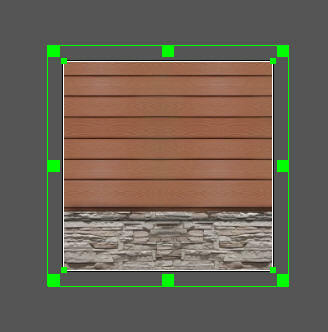 Here is an very simple wall for this next example, with a pretty texture from my free seamless texture library. 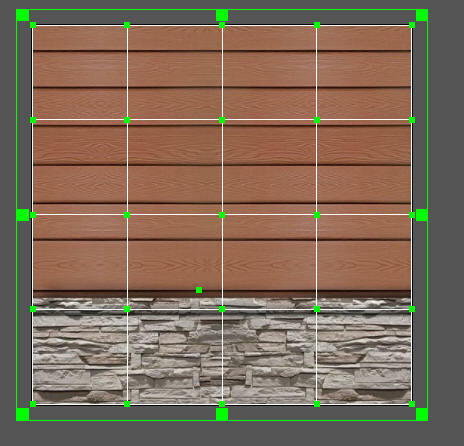 We can now see that by drawing a new image with the border at the middle of the F-row, we can color the bottom of the wall differently than the rest of the wall. 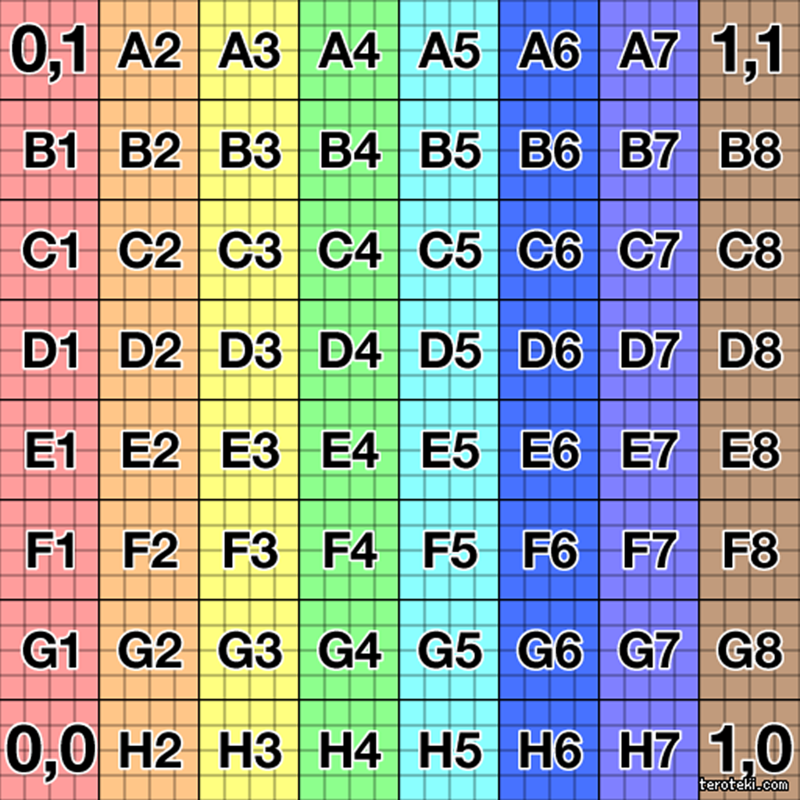 You can also see that the end walls consist of areas F1-F4, G1-G4 and H1-H4. 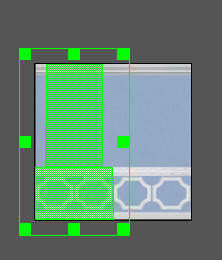 Now that you know the mapping, you can use any texture that has the border at the same place. The above example was fairly simple. It can get much more complex. 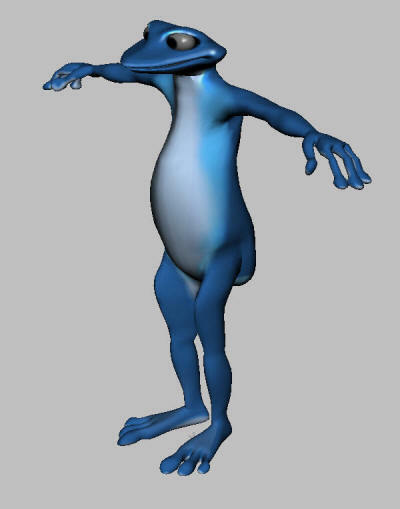 This lizatd is one of my freebies in the dome in Phaze Demesnes. Its a really good looking avatar! I had to do a lot of work to convert this lizard to SL format. The tail had to be chopped off and filled, the mirror operator removed, the polygons reduced, and the bones and attachment points added. Clearly, the designers choices can make it easy or difficult to map a new texture. 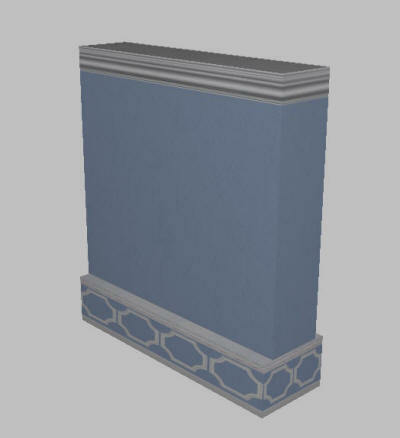 Once you have a UV map, you need to be able to refer to it often while you are painting. 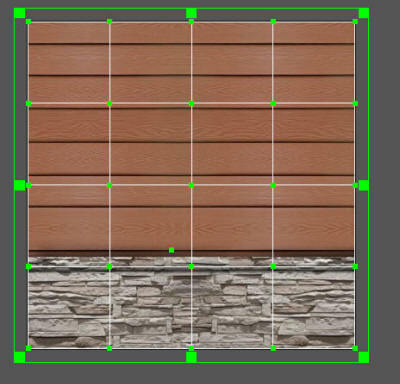 I have set the UV map in another window, painted a new texture and then loaded it over and over to see how things go. This can be tedious and slow. 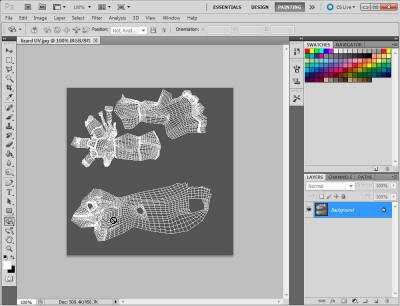 Some tools allow you to directly paint on the UV map in 3D, such as Photoshop CS5 and Sculptris. 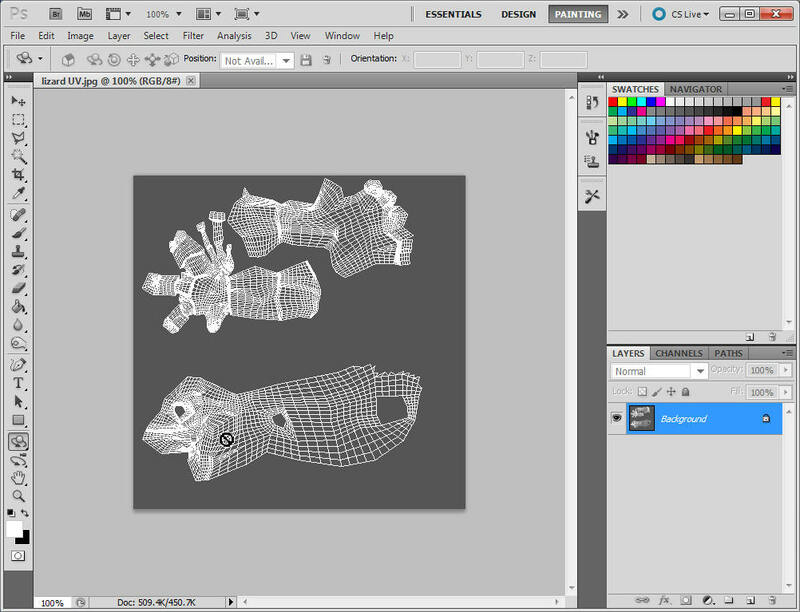 Photoshop can do massive work in 3D, but it is expensive, and Sculptris can paint on files too and is free. but you have limited choices in the paint menu. 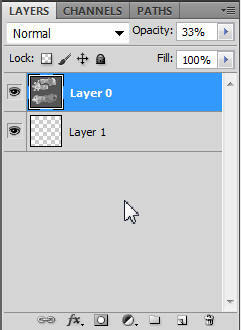 There is no way to clone an area, or liquify an area such as is in Photoshop. 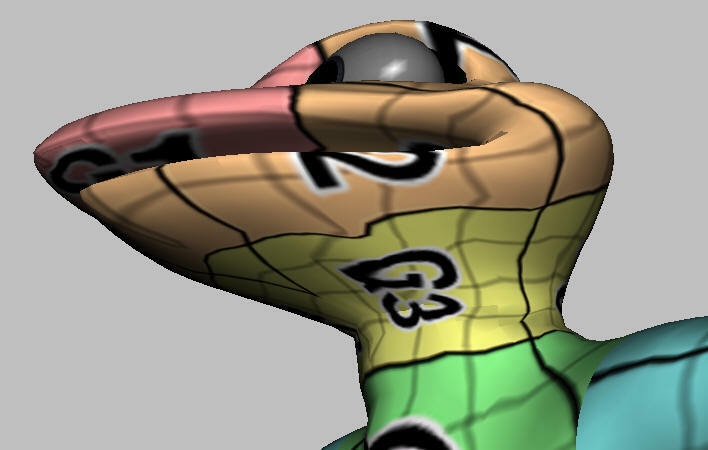 In this closeup of the lizards neck, you can see where a necklace can be painted. Getting the exact shape will be tedious, but it can be done by paining a series of small dots, and uploading the texture until you get the correct line. In this case, following the line at the edge of G3 where the yellow matches the Green is a good place to start for a necklace. 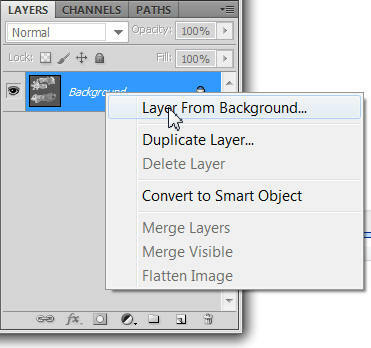 A better way is to use a photo editing tool that supports layers, such as Photoshop, Gimp, or PaintShop Pro. 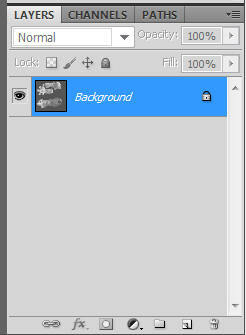 The background will go away, and we have a layer for the UV map that we can work with. 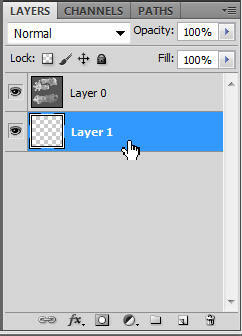 Now grab the Layer 1 and move it below layer 0. 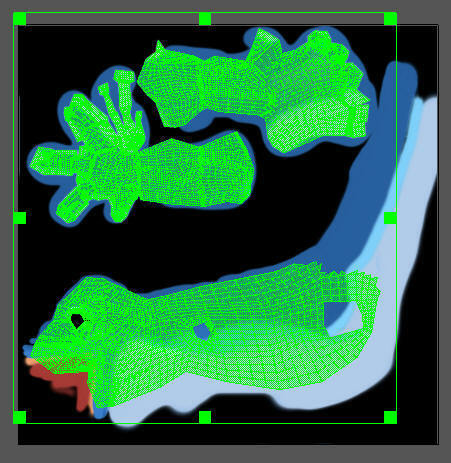 We will be drawing on this layer, and the UV map will be above it. 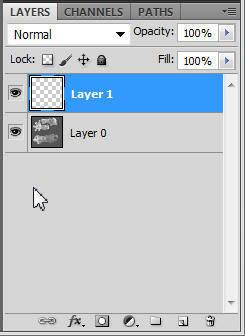 Now click the Layer 0 so that it turns blue. 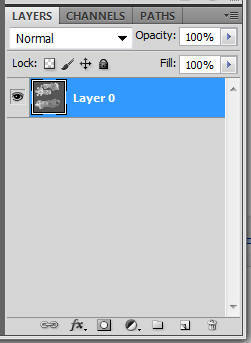 Set the Opacity to 33% so that we can see the layer below it. It should look like this in the main window. That is my basic workflow for making a new UV map from an existing one.